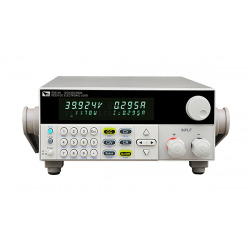 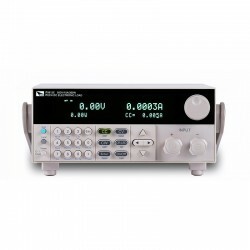 IT8200 series economical programmable electronic loads,with the highest cost/performance ratio and small size,they are widely used in production testing lines and maintenance lines etc.Resolution 1mV/1mA ensures the accurate measurement result. 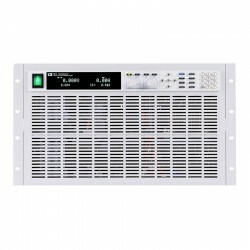 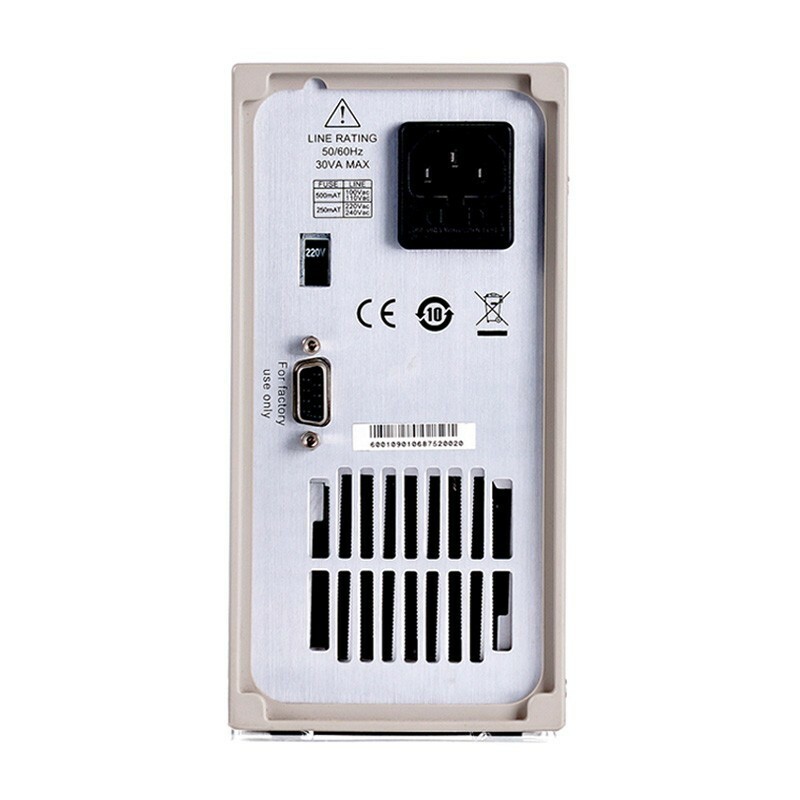 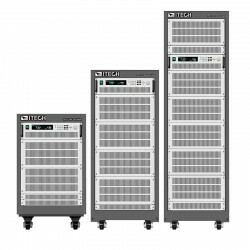 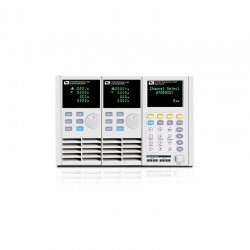 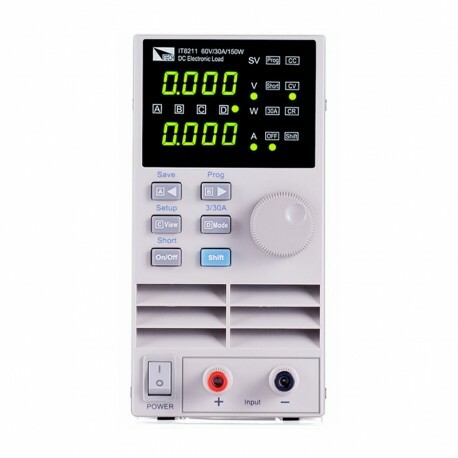 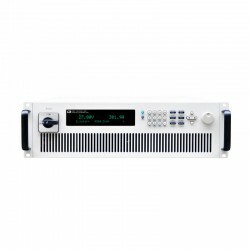 IT8200 series has programmable performance, and can quickly recall 4 * 40 group memory data, panel function keys and display interface is clear, provide customers with simple operation program, easy and fast to complete a variety of complex tests. 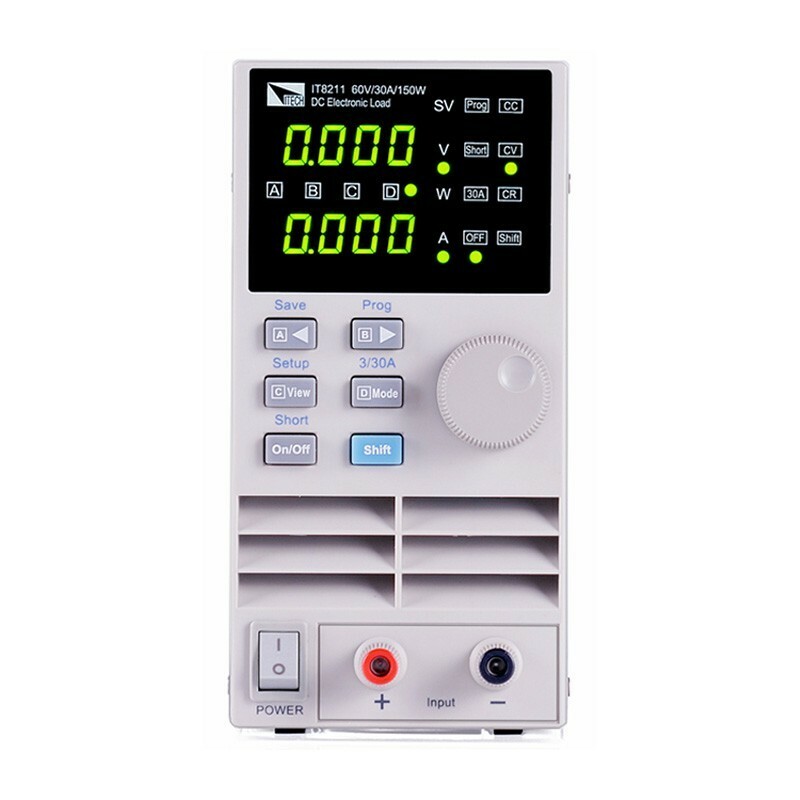 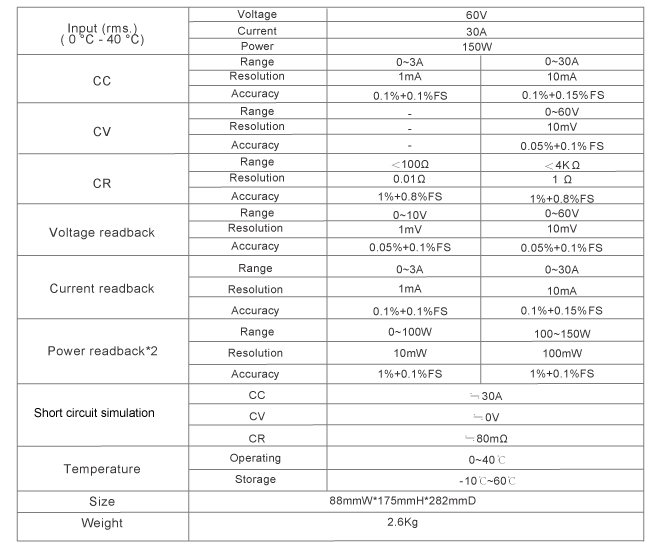 The series has CV, CC and CR mode, and short circuit test function, it is the most cost-effective electronic load products. 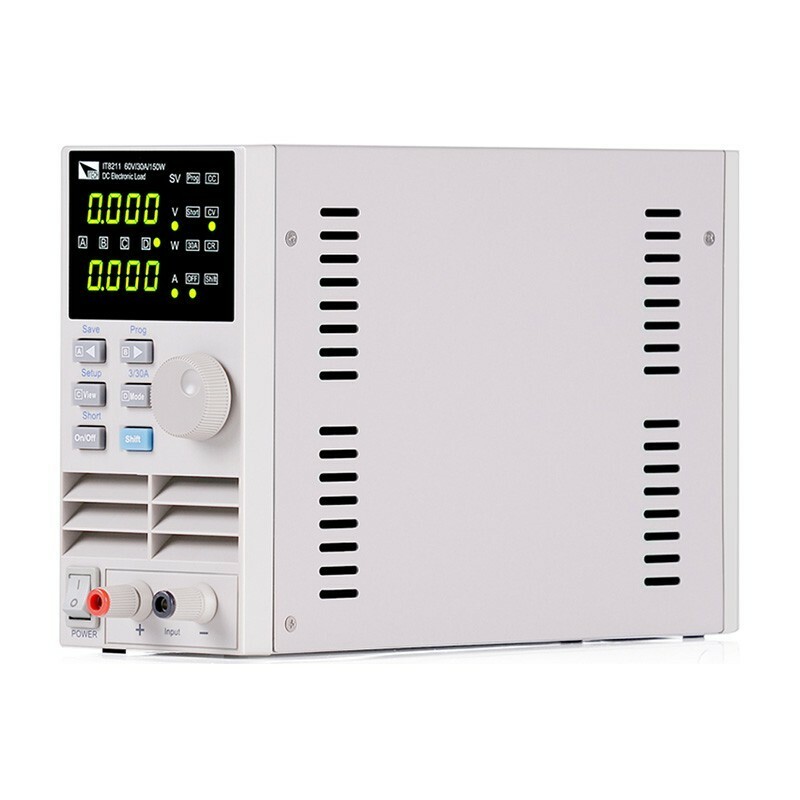 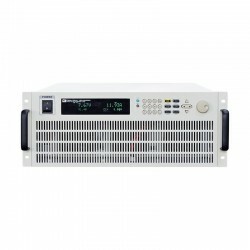 Under the same power range, IT8200 series have wider voltage/current range.